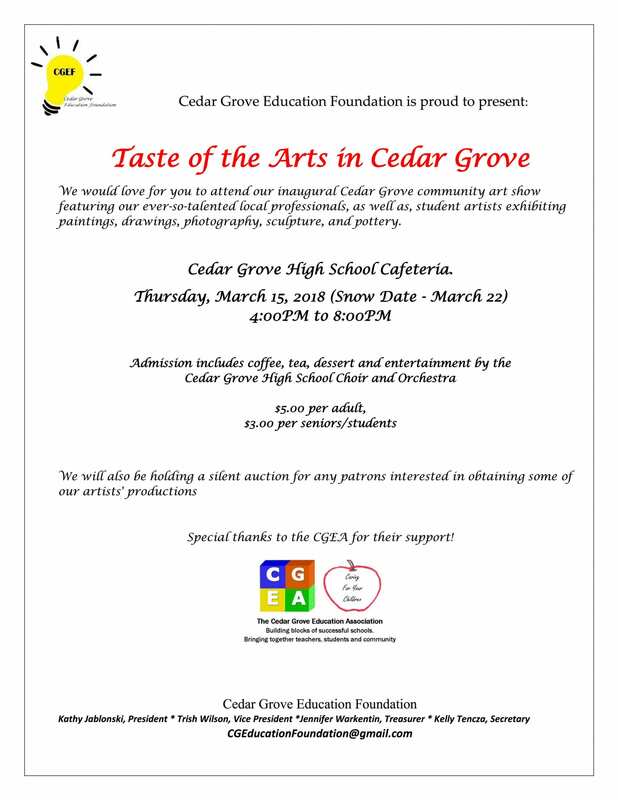 Cedar Grove High School is a relatively small high school with approximately 500 students in grades 9-12. Even though it is on the smaller size in terms of enrollment, it has a very strong music program that we are very proud of. With this small enrollment comes many opportunities for students, but at the same time we are presented with many challenges. For many years, a major challenge for our school district was garnering enough votes to pass the school budget. There was a perception that there was a divide between the senior citizens in our town and families with children in the schools. We started to look for opportunities to represent the school district at town-wide events. We wanted to demonstrate our student achievements and make obvious that we are a vital and unique aspect of what makes Cedar Grove such a wonderful place to live. Holiday celebrations lent themselves perfectly to this effort! Each year on the First Monday of December, we have a tree lighting ceremony at Town Hall, and Santa visits in the adjoining firehouse. As children wait on line to talk with the Jolly Old Elf, they are serenaded by members of our choirs. 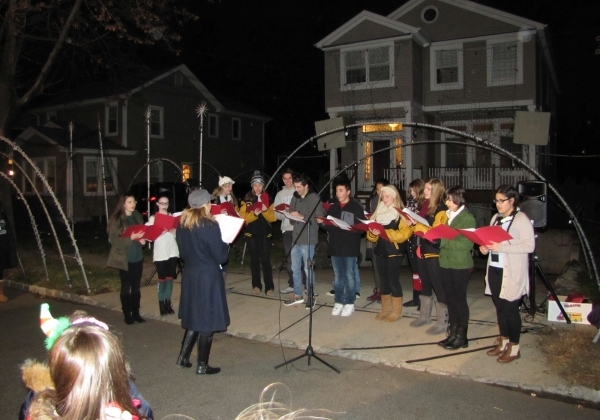 Neighbors and friends visit with one another–and join in the singing!–as they wait, and the younger children look forward to the day that they can join in as carolers. More recently a local family had a special light display in conjunction with a Toys 4 Tots toy drive. We were delighted to have our choir singing and participating in giving back to our community. Another special caroling event came about by way of invitation from our town Historical Society. They asked choir members to sing during their annual Open House. A valuable aspect of this event has been learning that many of our older citizens are indeed very supportive of our students and schools. When one of our alumni–Broadway actor Jelani Remy (Simba from Disney’s Lion King)–created a special benefit for a local food pantry, he held the concert at our school. Jelani felt strongly that students should be an integral part of this community-wide event, and members of our choirs participated throughout the evening. Our music program provides solemnity when appropriate as well. We have been honored to sing at our town’s services to mark the anniversary of September 11, and in particular sang “American Tears” by Teresa Jennings soon after it was written as well as being part of Cedar Grove Waves, our local 9/11 memorial. Our presence at town events is now expected and requested! 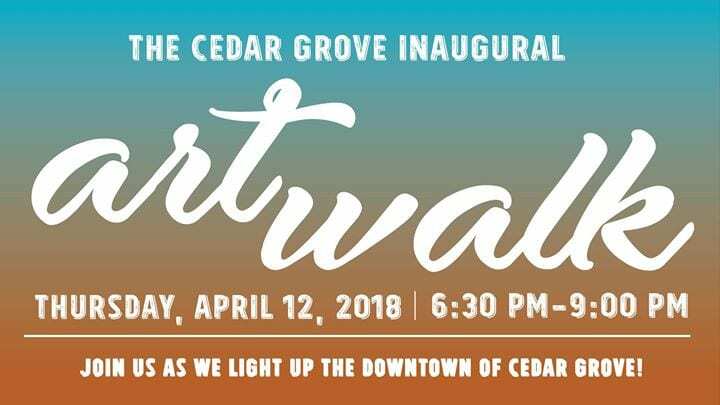 Most recently, when our Downtown Committee created a new event this spring–an Art Walk held in April 2018–they asked our jazz band to provide the “soundtrack” as townspeople strolled our main thoroughfare and enjoyed artwork designed for the event. Using music to break down the walls between school and town has enabled us to grow a greater sense of community and appreciation for, by, and throughout our town. The target audience for “Music Matters Takes to Town!” is citizens across all ages in our town of Cedar Grove. We continue to expand our reach within the community. Our effort started with a focus on building a relationship with senior citizens in town, and has grown to encompass all citizens. In addition to helping people of all ages appreciate the wonderful music program at our high school, we are giving our students the opportunity to make a meaningful contribution to the life of our community. to contribute to and support their annual rummage sale. The temple in turn donates remaining items to our Fall Clothing Drive–now timed to coincide with their event. This relationship has led to yet another opportunity, as Temple Shalom has recently informed us that they will be holding a special music event (Evan Mitchell, a local pianist, will perform). The temple has invited our students and their families to attend, and they intend that our program will be the beneficiary of donations received at the event. Most of our initiatives are coordinated around existing events, so communication is a vital aspect of our planning process. For town events, we reach out approximately one month ahead of time to confirm that we will be participating and coordinate details. Since we are a small town, transportation is not an issue for members of our music program to get to venues within Cedar Grove. Parents carpool to events beyond walking distance. We publicize our events in hopes of fostering further goodwill, as well as making organizations aware of our availability and willingness to provide music for their future event. We operate from the assumption that music enhances any event and go from there! The following list details additional partnerships/benefits. Free event run by Cedar Grove Historical Society and open to the larger community. Tours of this historic home are available and refreshments are provided. Benefit concert to benefit the Food Pantry of St. Agnes Church as well as our music program. Annual rummage sale/they donate unsold items to our Clothing Drive. Money earned at the Clothing Drive supports our scholarship fund. Many of our initial efforts were designed to enhance the image our our school–and in particular our music program–to the larger community. Ten years ago, it was difficult for a school budget to pass. Today a thoughtfully-composed budget is expected to be passed each year. Though our evidence is anecdotal, we’d like to believe that the ways in which we engaged our town and community educated the populace. We bred goodwill, provided entertainment, and gave our students the opportunity to perform for their neighbors and friends outside the confines of the high school classroom or auditorium. As stated earlier, since we are a small town, students can often walk to events at which they are playing/singing. We often wear red to carol, red-white-and-blue for Patriots Day (9/11), and our Music Matters polo shirts. Students purchase polos from Music Matters for $28. We are always looking for new opportunities! Participating in the Downtown Advisory Committee’s Art Walk was a wonderful new addition this year! Also, this event enabled our jazz band members to participate, as most of our other events take advantage of our choirs. Ten years ago, it was difficult for a school budget to pass. Today a thoughtfully-composed budget is expected to be passed each year. Though our evidence is anecdotal, we’d like to believe that the ways in which we engaged our town and community educated the populace and affected their impression of the school system. We would recommend that someone looking to replicate this project consider how and where music might enhance an existing event in their local community. Learn about possible connections that may already be in place through family, friends and neighbors of students in the program to introduce the idea to event organizers. Our first invitation to carol at our Historical Society’s Open House came through a former member of our board of education, Dr. Jean Jaeger, who also served as an officer for the Society. Dr. Jaeger has continued to stay involved in our schools, and knew that the choir’s presence would bring attention and visitors to the Society’s Open House event.